To meet the various requirements of the customers, we are involved in offering a wide assortment of Rolling Grill. Enriched by our vast industrial experience in this business, we are involved in offering an enormous quality range of MS Rolling Grill. Approx price: starts from 175 rs. to 850 rs. Rolling Grilles provide access control and off hour security on interior and exterior openings. Permit visual access of separated spaces. 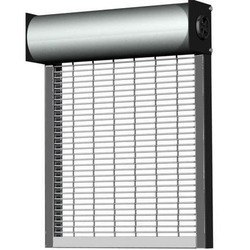 Rolling grilles are used for interior industrial and commercial applications, providing the maximum security with visibility and ventilation. We manufacture heavy duty rolling shutters, grills and windows. These products are manufactured from magnetic steel (MS). Our rolling shutters, grills and windows are used for industrial as well as residential purposes. They are widely accepted amongst our clients as dependable and economical products.